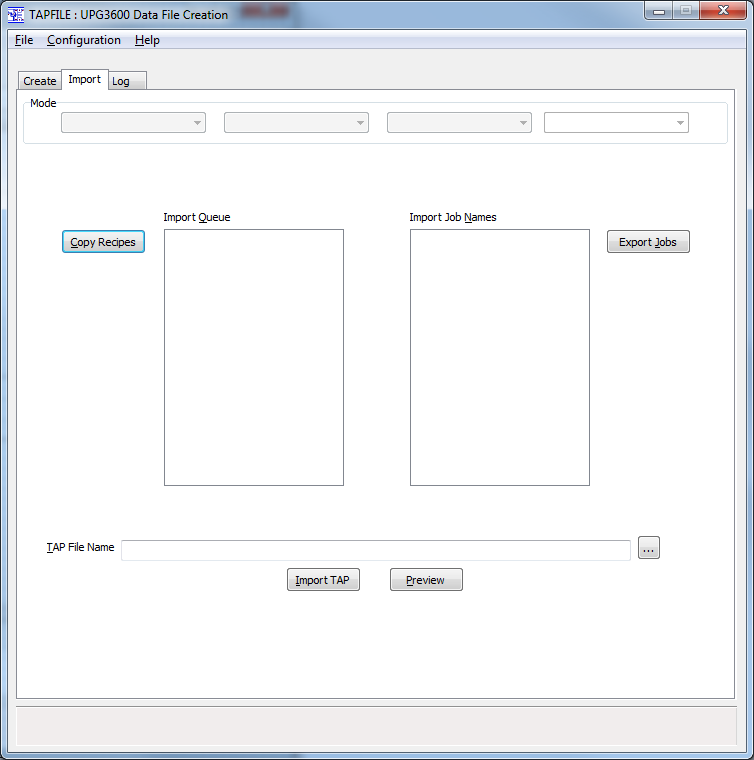 This software is intended to simplify the creation of data files compatible with H&L Associates' UPG3600 upgrade kit for the GCA/D.W. Mann 3600 pattern generators. These data files usually have a '.TAP' extension and represent the emulation of a physical 9-track magnetic tape that was originally used on the equipment. run the 'SETUP' command to specify shutter time or flash intensity, data transformation operations (scaling, mirroring etc.) to be applied to the data and any optional items to be added to the reticle (fiducial marks, labels etc.). 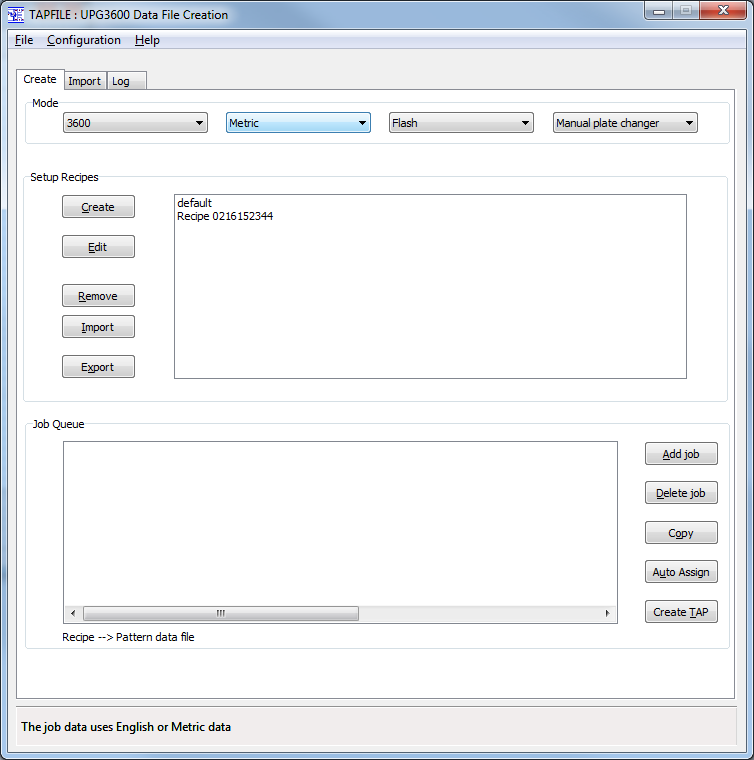 A data file was selected, the settings defined by 'SETUP' were applied to the data file and the combination of the two (called a 'job') was entered into a job queue. The job queue might contain up to 30 jobs, with the user able to adjust the order and the number of jobs. run the 'RUNQ' command to start exposing the data stored in the job queue, one job at a time in the order specified.